Mijn vetplanten groeien als kool! Dus hier en daar een strengel wegpikken kan makkelijk om kleine vazen te vullen. In tegenstelling tot mijn Plant Gang versie, is dit een minimalistische styling. Niet omdat de overige planten de zomer niet hebben overleefd, integendeel: de plant aan de linkerkant blijft nieuwe bladeren geven! Door deze balans en hoeveelheid witte woondeco, komt de focus op het kunstwerk en de planten! Ik ben reuze benieuwd naar de invullingen van mijn mede Urban Jungle Bloggers – meer dan 700 inmiddels (!). En kijk alweer uit naar het volgende thema! Last weekend was all about Urban Jungle Bloggers. It all started when vtwonen’s blogazine arrived! 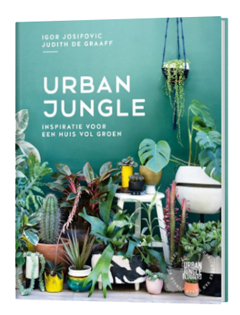 In this extra edition of the Dutch home and living magazine I’m featured with some fellow Urban Jungle Bloggers, sharing our love for greens. You’ll find me at page 130. My love for greens keep growing and luckily the third season of Urban Jungle Bloggers just started. So here’s the first one! 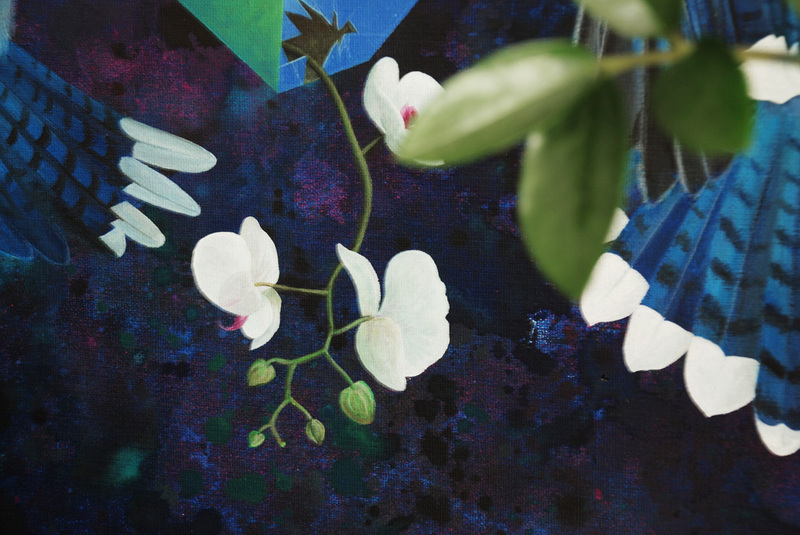 The theme of this month is Plants & Art. A lovely combination if you ask me! Some plants are a piece of art on it’s own. Sunday was quite good weather to take pictures at home. So I grabbed my camera and the unique piece of art from above my couch. I had this painting done by Rotterdam based artist Rick van den Berg. His true to nature skills are sublime! 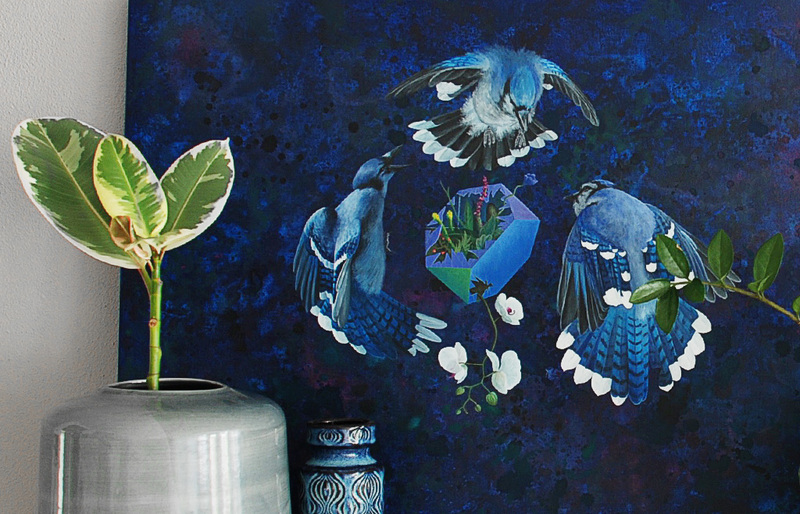 My wishes for the particular Blue Jay birds and nature, in it’s global meaning resulted in this true eye-catcher – which really suits this months topic. Although my Plant gang was quite crowded, this styling is quite minimalistic. Not because my plants didn’t survive the summer. On the contrary, the plant on the left is growing a leaf a month! 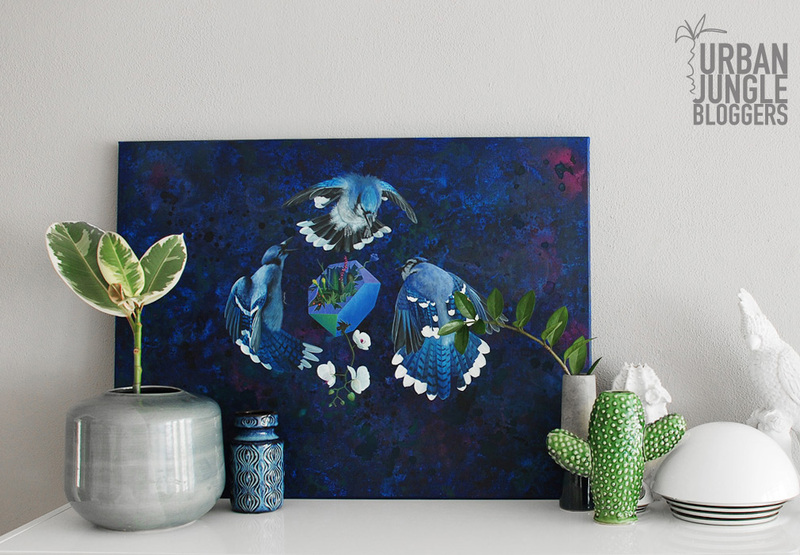 I like minimal result with the white, to focus everything on the art and plants. I’m really curious what my fellow Urban Jungle Bloggers (more than 700!) created! Are you a fan of greens and Urban Jungle Bloggers? Have a look at my other posts!